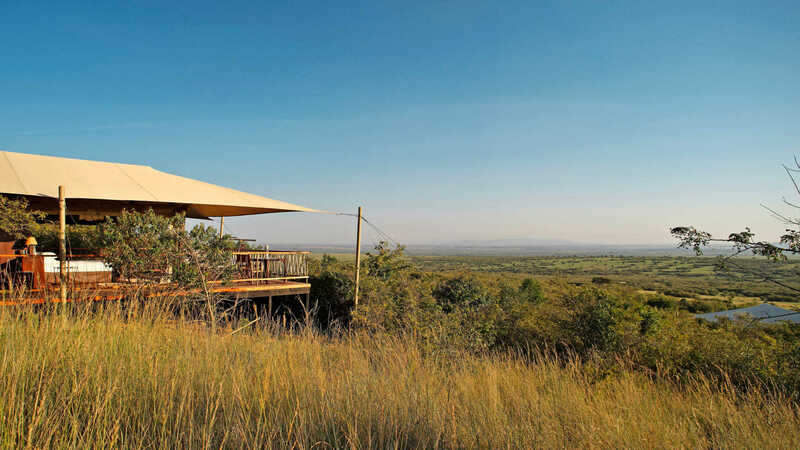 The words ‘exclusive’ and ‘luxurious’ are often exaggerations: at Mara Bushtops they fit like a glove. 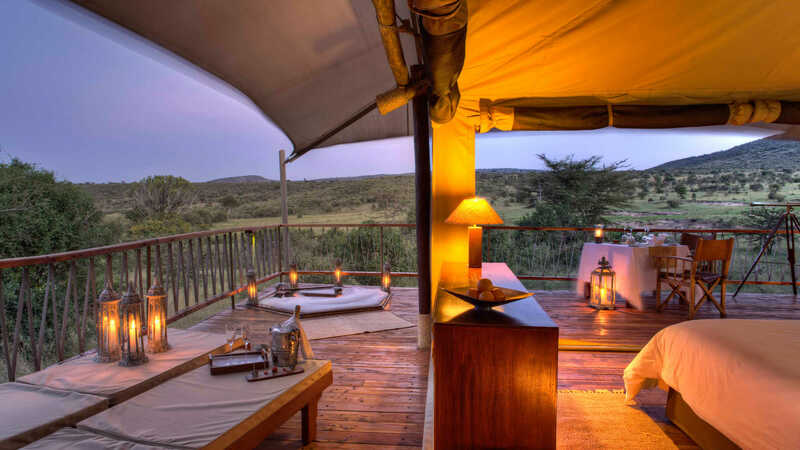 Watching from your own 100 square metre private deck as an abundance of wildlife congregates around the adjacent salt lick is‚ literally‚ unforgettable. Having your butler draw your hot tub after a spectacular game drive is heavenly. Delving into the well-stocked wine cellar and enjoying superb cooking simply adds to the magic. Together‚ these experiences create an oasis of five-star luxury‚ blending peace with adventure – and first-class comfort with unforgettable sights and smells‚ sounds and sensations. 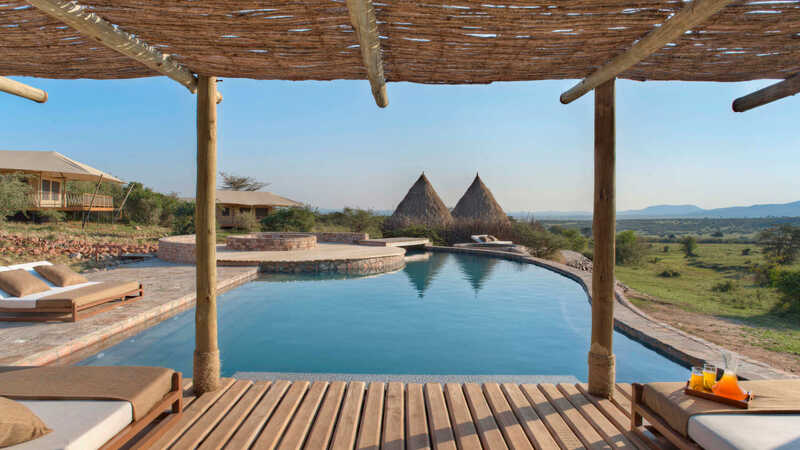 Arrive at Safarilink lounge‚ Wilson Airport for your scheduled flight to the Masai Mara. The flight is approximately 45 minutes. Upon arrival at the airstrip‚ you will be met by a driver/ guide who will transfer you to the camp to check in‚ from the airstrip you will enjoy a short game drive viewing. After lunch you will depart for a late afternoon game drive or enjoy other activities offered at the camp. Early morning game drive conducted in 4×4 vehicles and accompanied by an experienced driver guide. Lectures on wildlife conservation and culture are regularly given. Later in the day you will engage in a variety of exciting safari activities. They vary depending on the clientele needs and include evening entertainment and sundowner. Enjoy your final day in the Mara after the morning game drive‚ you can sit and relax as you wait for your transfer to the airstrip for your flight back to Nairobi.